Modern security requires a layered approach that keeps up with the evolution of drone technology. 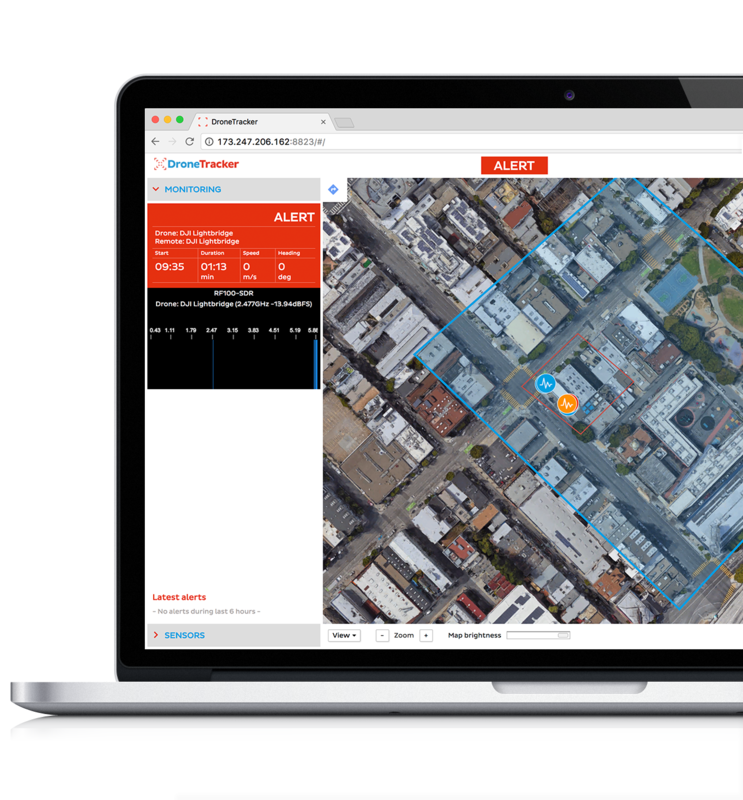 Sensors connect to our DroneTracker software, which detects, classifies, and protects against drone threats, including localizing the drone and its pilot. Passive and active countermeasures can be triggered, tailoring the defense mechanism to the severity of the threat. Dedrone’s RF Sensors are purpose-built for airspace security and collect hard data on drone activity in the airspace. They detect all kinds of drones and have a coverage range over over 1 mile in ideal conditions. The RF localization technology enables users to find the location of the pilot and drone, making termination of the threat much more practical. Dedrone’s RF Sensor is the foundation that enables robust security to protect against drones. It alerts to potential threats even before they take off the ground, and measurement-grade RF technology pinpoints the locations of drone and pilot. 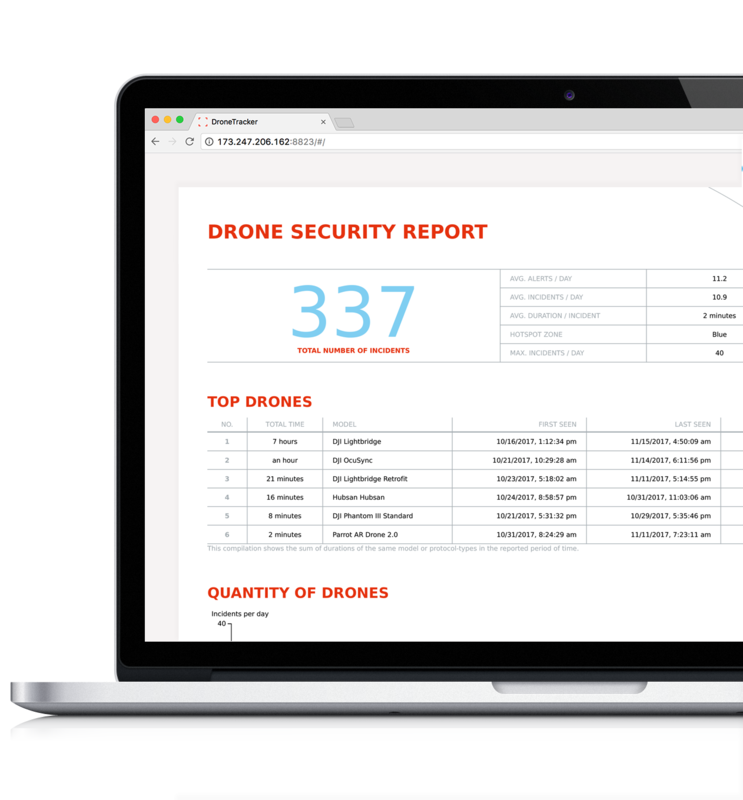 DroneTracker aggregates sensor information about potential threats, recognizing and classifying drones of all kinds. Its web-based interface shows live threats, real-time drone flight paths, and records forensic details including video evidence. Our RF Sensors are the cornerstone of airspace security, and detect commercial, consumer, and homebrew drones. 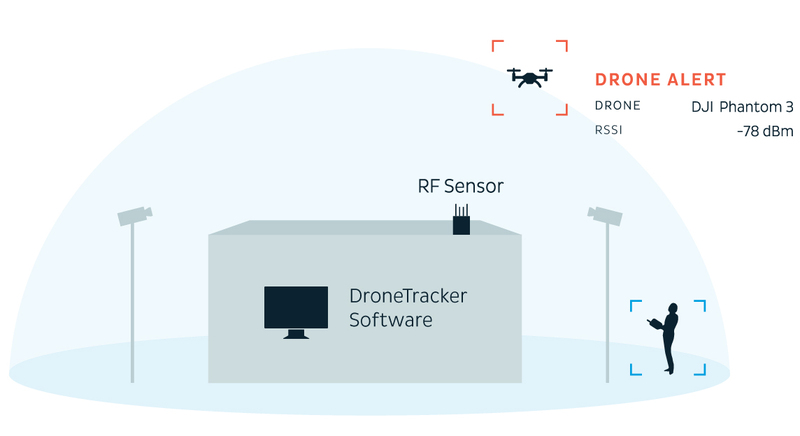 DroneTracker software connects sensors, performs machine-learning analysis, and is the central nervous system for the complete solution. Additional sensors and countermeasures, such as video or jammers, add extra layers of security and integrate directly into DroneTracker software. Can't see the form? Click here to view in a new tab.